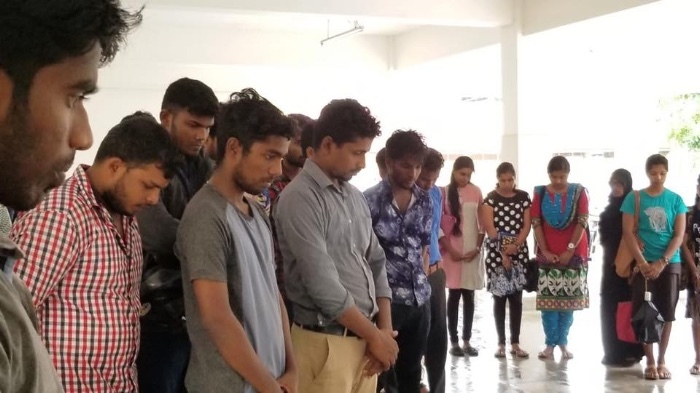 A group of Tamil students have been hospitalised following an attack by a mob of Sinhala students at the Uva Wellawassa University on Wednesday, as racial tension continued on campus – Tamil Guardian. A Sri Lankan army soldier has been arrested on Wednesday over the kidnap and sexual abuse of a Tamil schoolgirl in Jaffna – Tamil Guardian. The Sri Lankan president’s repeated refusal to allow international participation in an accountability mechanism calls into question his governments “sincerity and trustworthiness,” said Human Rights Watch’s Asia director – The Sunday Leader. A new report by the Centre for Policy Alternatives (CPA) concluded that over 12,500 acres of land remains occupied by the Sri Lankan military in the Northern Province and called for reparations and the restitution of land to its rightful owners – Tamil Guardian. For full report see CPA. Minister of National Co-existence, Dialogue and Official Languages Mano Ganesan told a gathering of family members of the disappeared in Akkaraipattu that activists organising the event were intimidated by state forces – JDS. Two Tamils tell German broadcaster Deutsche Welle how they were rounded up after the civil war ended, and tortured. They hope to pressure the government to bring in foreign judges to investigate war crimes allegations – Deutsche Welle. The Sri Lankan navy released a tranche of land that it had occupied for almost a decade in Sampur last week, but pledged not to let the move affect troop deployment in the area – Tamil Guardian. 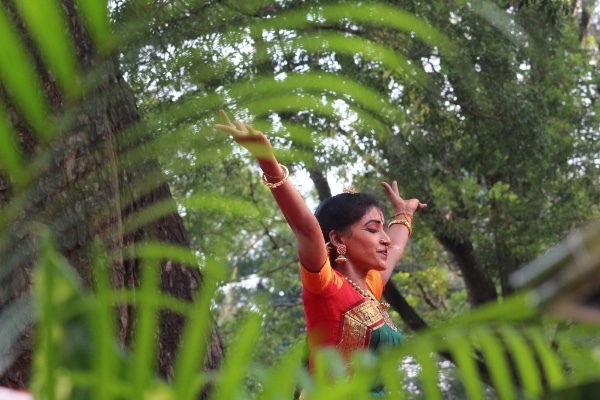 The Sri Lankan government on Sunday opened what it termed a ‘village of reconciliation’, awarding houses to Sinhala soldiers married to Tamil women, as well as Tamil female soldiers. The village, consisting of 51 new homes in Vavuniya, was build by the Ministry of Defence. The scheme was criticised by the Tamil National Alliance, who stated the scheme was aimed at forcibly colonising Tamil areas with Sinhala soldiers – Tamil Guardian. Colombo claimed the project would build “professional solidarity” amongst journalists, the minister’s visit instead fueled fears that Sinhalisation of the North-East looks set to continue. “The whole event was carried out under a Sinhala name,” said a Tamil journalist who was invited to the event. “There was no consideration given to the Tamil language at all” – Tamil Guardian. Northern Province Chief Minister C.V. Wigneswaran on Saturday blamed the Sri Lankan government for adopting a “dominating, domineering and hegemonic” attitude towards the Northern Province – The Hindu. Sri Lanka’s Prime Minister Ranil Wickremesinghe has reaffirmed that the touted constitutional change in the country should not affect the unitary nature of the state. Speaking at a seminar by the USAID-funded Sri Lanka Parliament Project, Mr Wickremesinghe said the new constitution will come into effect in 2017 – Tamil Guardian. Sri Lanka and the US 7th Fleet have enhance bilateral cooperation following talks between senior military leaders from the US 7th Fleet and the Sri Lanka Navy and Air Force, the US 7th Fleet said – Colombo Gazette. Essentially, over the past few days, the U.S. has been sending the wrong message to both the Sri Lankan government and the war weary Tamil community, the group that suffered the most as a result of the war. When planning future events on the island, hopefully the U.S. will not make the same mistake twice. Going forward, Washington needs to be more consistent when it comes to promoting human rights and accountability in Sri Lanka – Taylor Dibbert in The Diplomat. For victims who have waited for seven years already without any justice, and who still continue to face violations of their human rights on a daily basis, now more than ever is when the international community should step up to ensure that justice is finally served, and the processes of healing and reconciliation can finally begin – Dharsha Jegatheeswaran in the University of Toronto Law Review. The Government this week stepped up efforts to resuscitate the country’s economy in the wake of a looming financial crisis. Towards this end, top level talks got under way on Friday with an International Monetary Fund (IMF) mission which arrived in Colombo the previous day – Sunday Times. Although the present Bill, if adopted, is said to provide every citizen of this country the right to access to information, which is in the possession, custody or control of a public authority, it also contains a plethora of restrictions to access information – M Ayub for the Daily Mirror. Could Gotabaya Rajapaksa, Sri Lanka’s former defense secretary (and brother of previous president Mahinda Rajapaksa), bring the Sri Lanka Freedom Party (SLFP) together? Evidently a member of the country’s joint opposition has suggested that Rajapaksa be appointed to parliament, the implication being that this move would help to unify a political party that has remained divided since Maithripala Sirisena assumed the presidency in January 2015 – Taylor Dibbert in The Huffington Post.